Google employee Bill Yi announced the updated release (LRX22G) on this Google Groups page, but did not elaborate on what changes have been made. It's safe to assume that the update includes the OS-wide adjustments from the 5.0.1 update, with perhaps a few model-specific changes for "grouper" devices. There is no indication that the 3G version of the N7 2012 is being updated, at least at this point. Binary drivers have been posted at the usual spot. 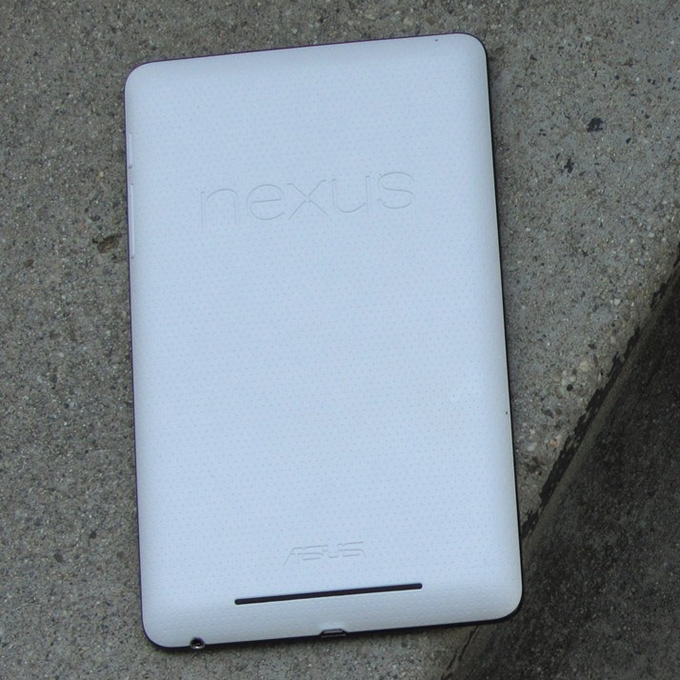 We haven't heard from any Nexus 7 owners who've received an over-the-air update yet, so update ZIP files are not available. We'll update this point when they come in. 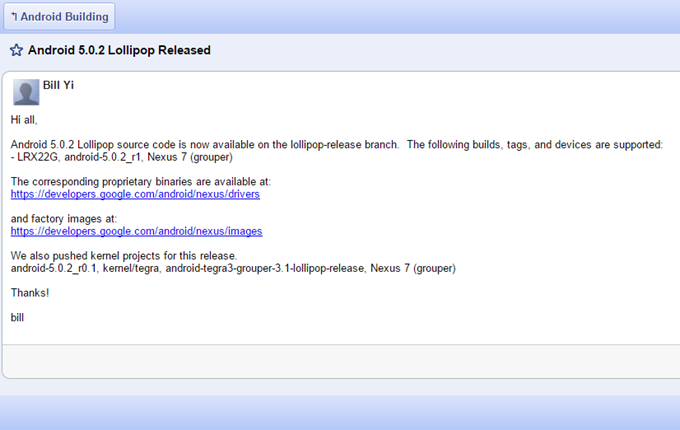 Google should post a formal changelog for 5.0.2 at some point in the near future. Update: here's the changelog. It looks like mostly fixes for storage and alarm problems.